The term ‘Cheetah’ or ‘speedcheetah.com’ or ‘us’ or ‘we’ refers to the owner of the website. The term ‘you’ refers to the user or viewer of our website. Credit and debit card payments are processed by Braintree, our secure payment provider. We do not store or process any credit card details on speedcheetah.com. Additional security is automatically provided by the “Verified by Visa” and MasterCard “SecureCode” schemes. For additional credit and debit card options, you should select PayPal, the international standard web payment system. We can ship using various services. To see actual shipping costs for your order, simply add your products to the shopping basket and Calculate Shipping at the bottom of the cart. By checking the shipping costs, you are not committing to making a purchase unless you choose to Checkout and make payment. Our aim is to dispatch all orders within 24 hours. Delivery times may vary depending on the time of order and the selected courier. In the event that a product is temporarily out of stock we will contact you to let you know. Tracking numbers will be issued wherever possible as soon as your order is dispatched. Delivery timescales vary depending on which country you are in. If you select and pay for enhanced courier shipping, delivery is normally within 3 to 5 days. If you select standard delivery, this is sent through the postal service and delivery can be up to 15 days depending on the postal service in your country. Further information about our standard international delivery can be viewed on Royal Mail’s website. Orders shipped to addresses outwith the European Union may be subject to local taxes or import duties at the time of delivery, which are the responsibility of the receiver. All prices quoted include applicable local taxes at the current rate. If you have a problem with any Cheetah item, please contact us for support in the first instance. If you wish to return your Cheetah product for service, please contact us stating where and when you purchased the item, your current name and address and the reason for service requirement. If you wish to return your Cheetah product for refund, please contact the supplier where you purchased your product. We are able to refund customers who purchased directly from www.SpeedCheetah.com, but we are obviously not able to refund customers who did not purchase from us. You are responsible for shipping any item back to us for refund, repair or replacement. 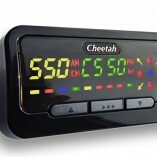 Cheetah products carry a 1 year exchange or repair warranty. This does not affect your statutory rights. Customers who purchase new units with a Platinum membership package and register their purchase with us will benefit from an extended product warranty. If you are not entirely satisfied with your order that you purchased directly from www.SpeedCheetah.com, you can return it within 14 days for a full refund of the purchase price. In this event, you must contact us by email or telephone before you return your order. We cannot accept returned orders without prior notification. Other retailers may offer different terms. Trinity 3.0 database terms and conditions of use. 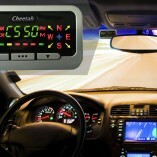 Cheetah software tools end user licencing agreement.